Iran’s Foreign Minister Mohammad Javad Zarif says nothing important will happen after the second phase of US sanctions due to be imposed on the Islamic Republic on November 4. 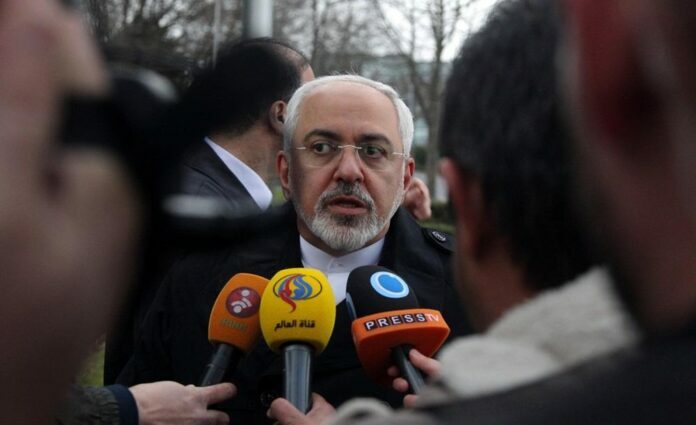 The Iranian FM made the remarks upon his arrival in the Turkish city of Istanbul to attend a tripartite meeting between the Islamic Republic, Turkey, and Azerbaijan Republic. “The psychological effects of sanctions are usually more than their direct results. Since the day that US President Donald Trump withdrew the US from the nuclear deal, and even before that until today, we have seen the effects of the sanctions,” he said. Zarif also noted that the economic mechanisms that the European Union is thinking of will be operational within a few days, however it may take some time for Tehran to benefit from these mechanisms. Referring to the murder of Saudi journalist Jamal Khashoggi in Istanbul, the Iranian FM highlighted that unfortunately, wrong methods and choices are so prevalent in the region that the Zionist and Saudi regimes commit any kind of crime without being worried about the consequences. “Tomorrow I will discuss it with the Azeri and Turkish foreign ministers and use the opportunity to discuss bilateral and regional issues with the Turkish authorities,” said Zarif. Zarif headed to Istanbul on Monday to attend the 6th Trilateral Meeting of the Foreign Ministers of Iran, Turkey and Azerbaijan Republic. According to a statement by Turkey’s Ministry of Foreign Affairs, the foreign ministers of the three countries are scheduled to discuss the opportunities ahead for expanding cooperation and some other important issues.